The Eastern Han Dynasty was founded by Liu Xiu on August 5, 25 A.D. when Xiu became the Emperor Guangwu of Han. With Luoyang as the capital city, this dynasty was reined over by twelve emperors in a period of 195 years. In the year 25 A.D, Liu Xiu defeated Wang Mang and established the Eastern Han Dynasty. During his second year in power, Xiu revised all of the policies that had been set by Wang Mang. The middle part of the first century was the most prosperous time for Eastern Han. After the reigns of Guangwu, Zhang, and Ming, this dynasty became prosperous once again. Generally, its economical, cultural, and scientific development was greater than that of the Western Han Dynasty. After the middle period of the Eastern Han Dynasty, many emperors were actually juveniles. As a result, the real power was generally held by eunuchs and distant relatives. This caused corruption and darkness in the years that followed after farmers from the entire country rebelled against the rulers. In 184, the Yellow Turbans Uprising, which was led by Hebei Zhang Jiao, affected this regime. Later on, the royal power fell into hands of eunuchs. This caused chaos in the courts. In his last reign, Emperor Xian’s regime was dominated by Dong Zhuo, a very treacherous court official. Finally, Cao Cao overthrew Emperor Xian, which effectively ended the Eastern Han Dynasty. 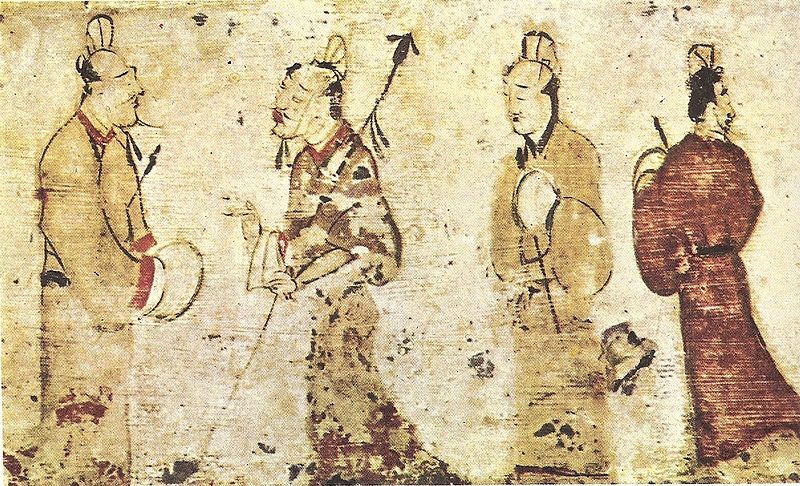 The central government of the Eastern Han Dynasty focused on irrigation. Apart from irrigation, the productivity industry was also improved. The Emperor also extracted copper and developed bronze-ware and silk-making industries. Commerce was also a great source of revenue and the city of Luoyang became the capital business center. During the Eastern Han Dynasty, some changes in culture and science also developed. In the year 105 A.D., Cai Lun, a court official, improved the methods of making paper that had been previously used. This brought an end to the inscribed bamboo strips that were being used at the time. In other areas of science, Zhang Heng created special equipment which is considered to be the earliest seismograph. The equipment had amazing techniques used for testing earthquakes. Development of ceramics and pottery also come to be widely used among common people.